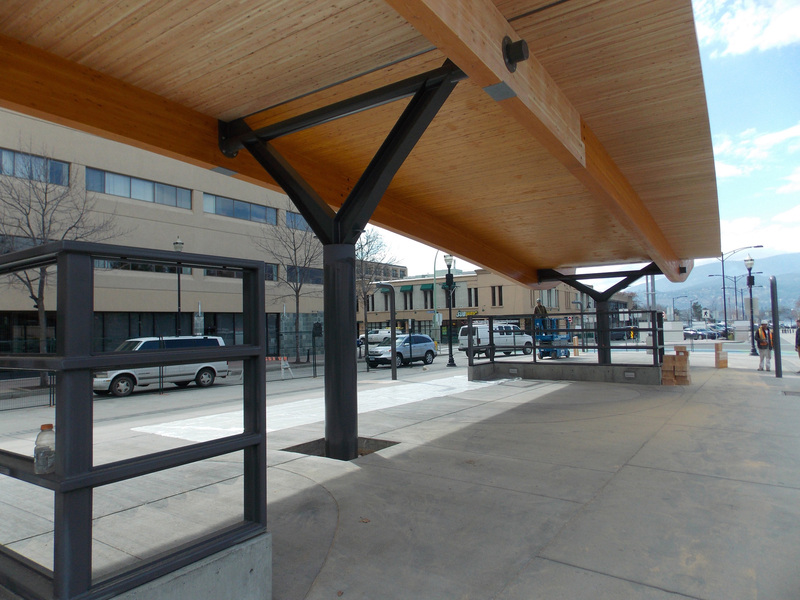 The Queensway Transit Exchange in Kelowna British Columbia acts as a gateway to Kelowna’s downtown. 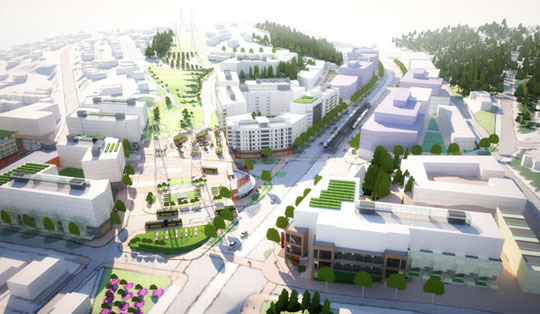 While providing transit connectivity to the best of the City’s entertainment, cultural, and employment districts, the Exchange acts as a placemaker and visual enhancement to Kelowna’s core. 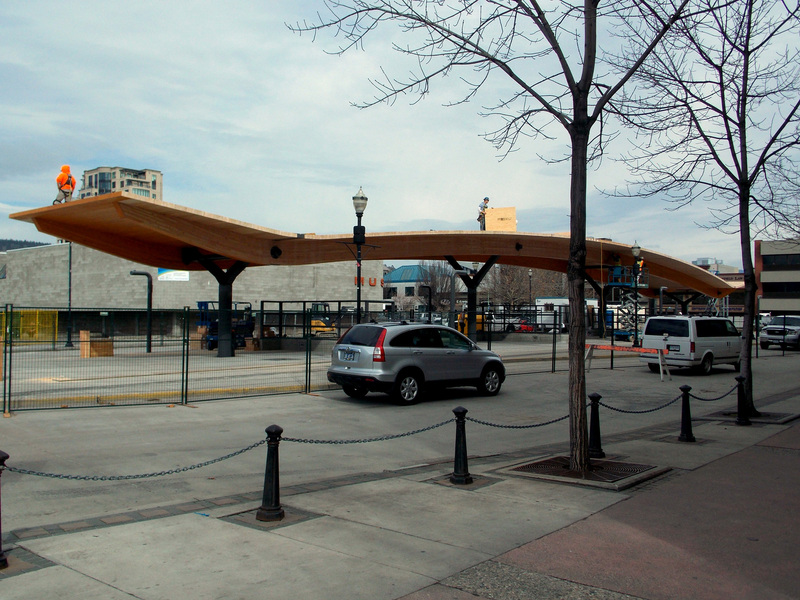 This landmark canopy is a single-story, semi-enclosed structure with a curved roof that provides weather protection for the transit island and its eight bus stops. 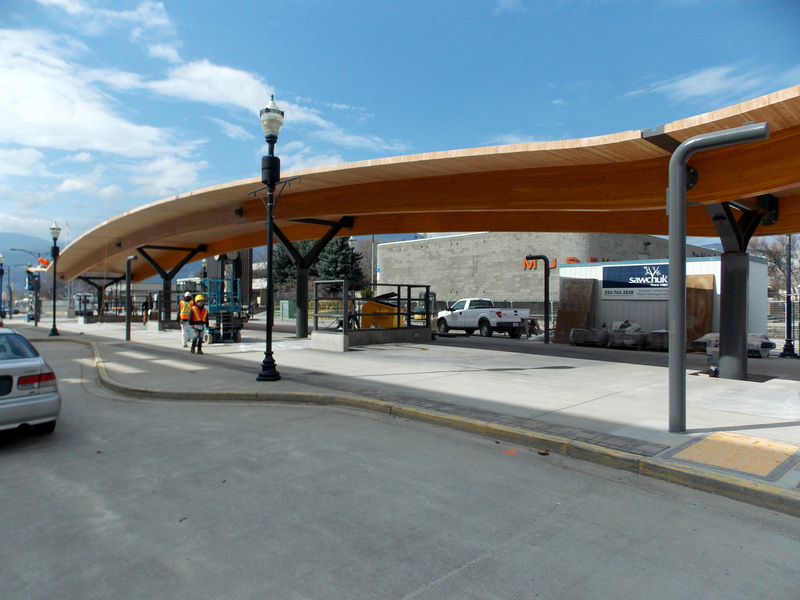 In line with VIA’s Third Idea, BC’s Wood First Act plays an important role in the design and construction of the canopy. The glue-laminated timber beam and decking panel provide a naturally beautiful structural roof span nine meters wide by 57 meters long. 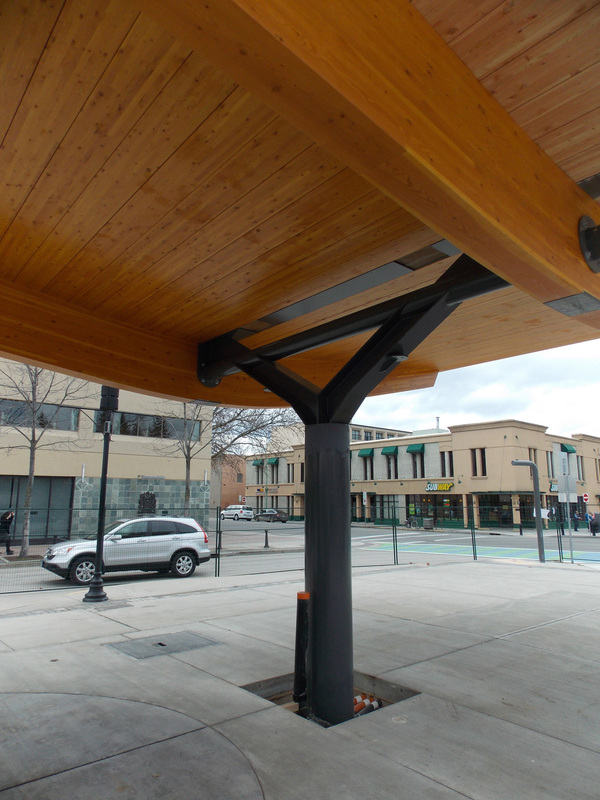 Minimal steel tree columns delicately hold up the roof span, increasing visual access throughout the facility, enhancing overall visibility and sightline safety. A lattice screen, together with wind deflectors, will provide additional shelter from the elements. Seating pods at each of the three wind deflectors will be arranged loosely in an arc under the canopy to encourage transit patrons to sit and congregate while awaiting their next transfer. 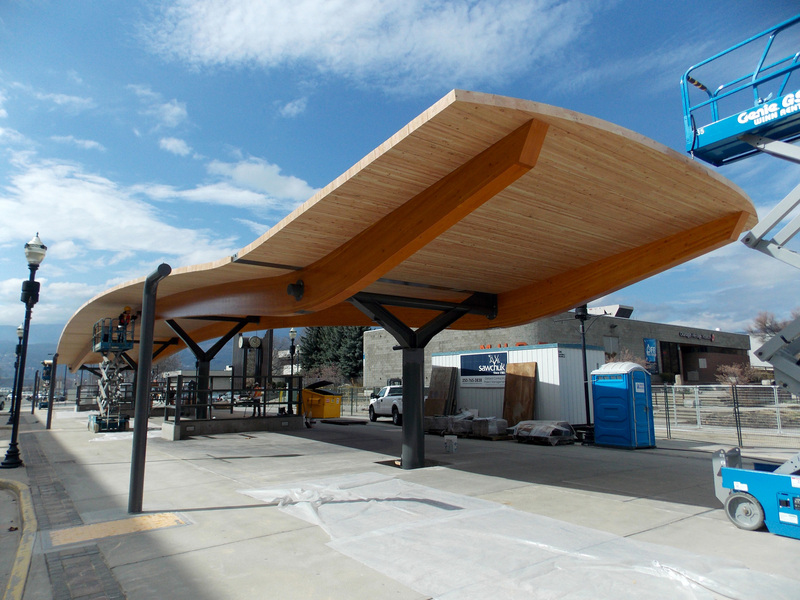 This canopy is currently under construction and is projected to be fully operational by the end of April 2015. We are interested in exceptional candidates with strong analytical and communication skills who are passionate and involved in community-building at all scales. This person will work within our multidisciplinary team to provide management and leadership on high-rise residential, commercial and public transit projects. Dedicated team player, excellent communicator, possessing demonstrated skill at management of technically complex projects. Strong client relations experience and interest in business development. Experience with project controls on complex building types, including scope, schedule and budget development, change management, tracking and reporting. Thorough familiarity with the technical considerations involved in coordinating and executing high-rise residential, commercial, and public transit building types. Strong experience in the management of documentation created in Revit 3D Building Information Modeling and AutoCAD. 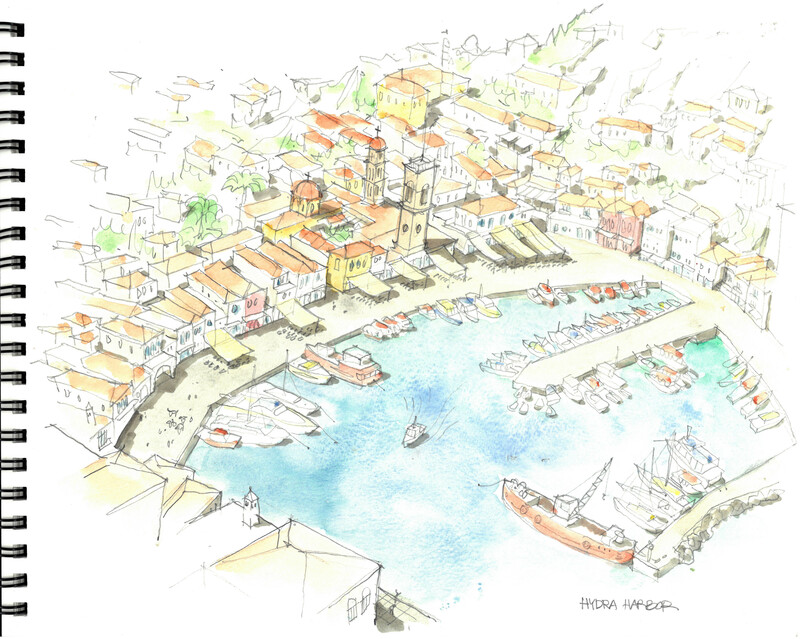 Fluency with production in these programs and other drawing programs such as Google Sketchup an asset. We are currently seeking candidates to join our team for the position of Intermediate Planner/Urban Designer to manage long-range planning and policy assignments, including station area, comprehensive and sub area plans as well as large scale infrastructure policy and planning. 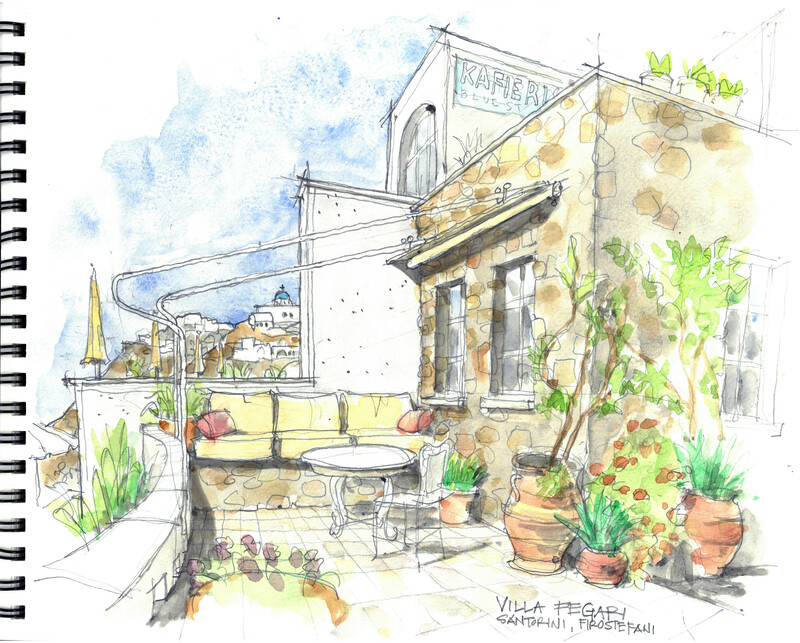 This person will work closely with our cross disciplinary team committed to place-based design. We are interested in exceptional candidates with strong analytical and communication skills who are passionate and involved in community building at all scales. Please include samples of your work, keeping total email size below 3 mb. Applicants must meet minimum qualifications for education and experience to be considered for this position. 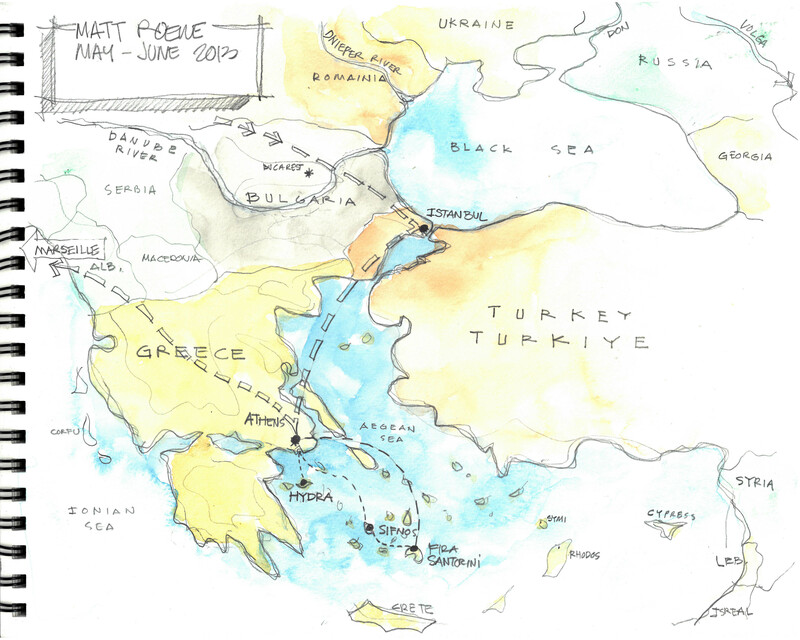 In 2013, VIA’s Matt Roewe, his wife, and his sketchbooks took a trip through Europe. 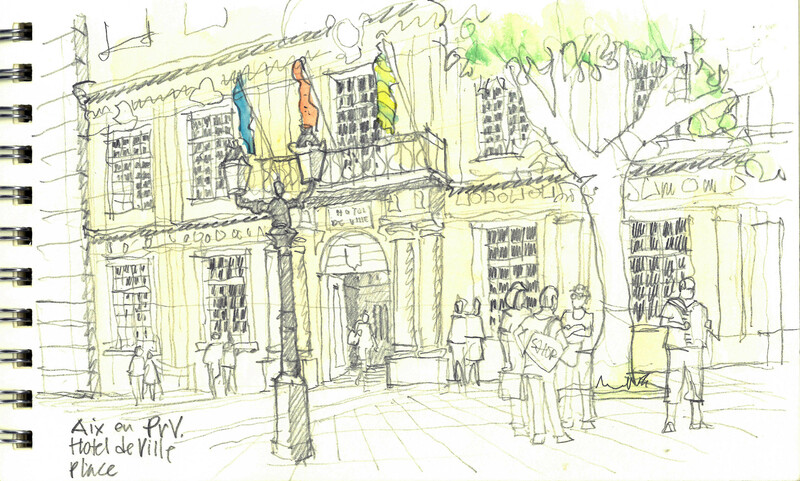 These are some of his sketches (you may click an image to view it larger). You may have seen them around town. You might even enjoy one daily as you grab your morning coffee, or take a walk through your very own urban village— they’re called Parklets. 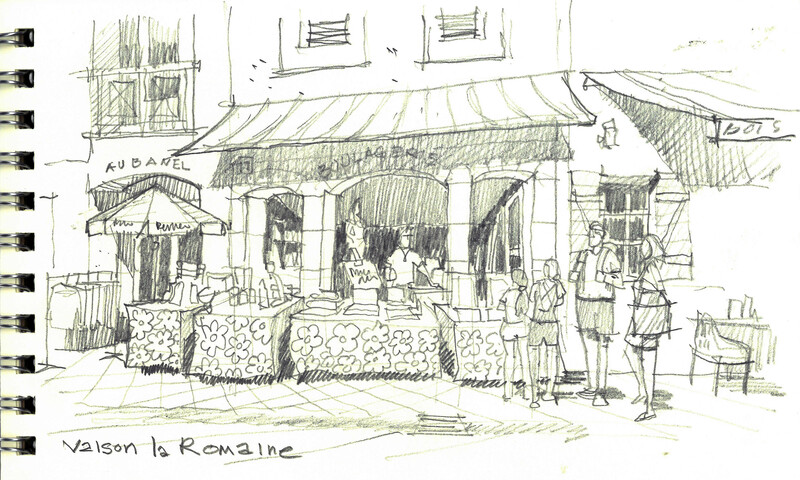 These little dynamos of public space are changing the experience of the pedestrian environment throughout the city. Parklets were first popularized by PARK(ing) Day, a nationwide annual celebration of guerilla urban design. On PARK(ing) day, street parking stalls are taken over in cities across the country— by artists, activists, designers, every day people wanting to take back their public spaces— and turned into temporary public parks. These little parks help mitigate the automobile-focused environment of urban areas, creating urban oases of seating, bicycle parking, and human-scale space. 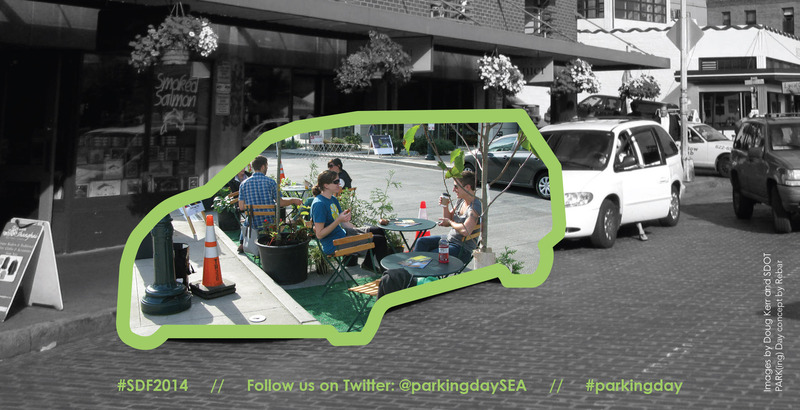 Recognizing the success of PARK(ing) Day and the community value of these spaces, the Seattle Department of Transportation (SDOT) as part of its Public Space Management program, began the Pilot Parklet Program. 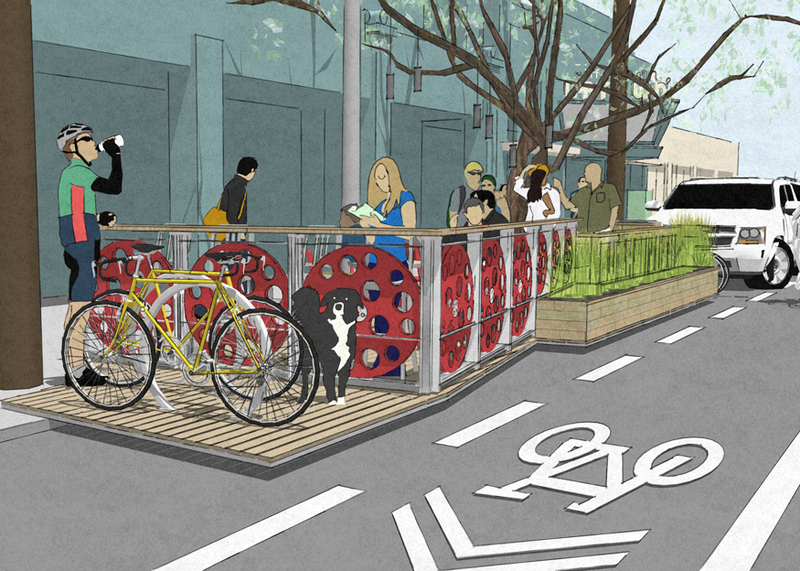 The proposed program takes a cue from cities with successful parklet programs such as San Francisco, New York, Los Angeles, and Montreal. Last year, SDOT began a call for applications to begin placing these parklets permanently around Seattle— parks to be designed and built as usable public spaces that are privately funded and maintained. 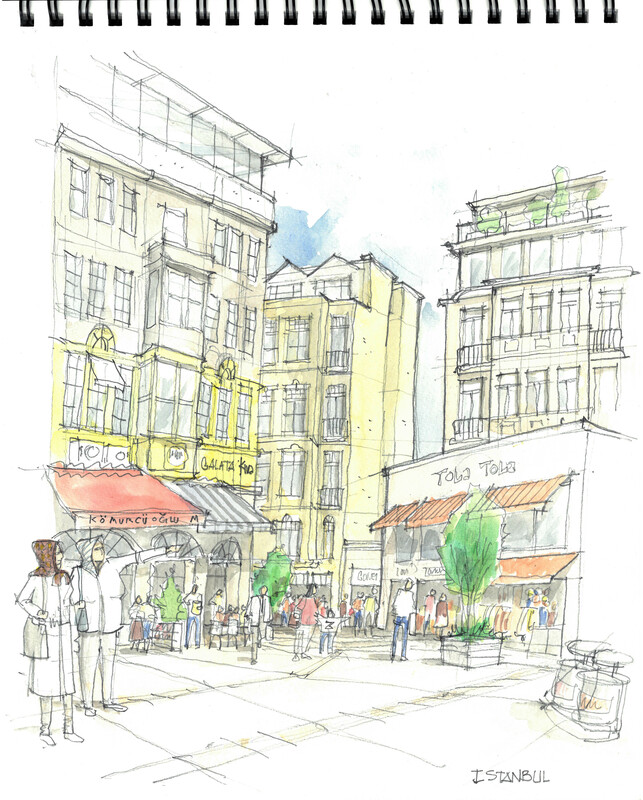 VIA Seattle’s James Underwood and Katie Idziorek, on behalf of VIA’s Community Design Studio, worked with The Uptown Alliance, a civic organization representing the Uptown neighborhood and urban center, to submit proposals for two different sites in the Uptown neighborhood. Of those two sites, one (in front of SIFF Cinema Uptown on Queen Anne Avenue North & Republican) was selected along with 14 others to begin construction. With the addition of Jared Slater of Slater Construction, the team set to work. Working on a tight schedule set by SDOT, the process began with several design workshops facilitated by the Uptown Alliance to which members of the community and local business owners were invited to get involved and be a part of the application and design process. These workshops helped to inform the process and determine the scope of the project. 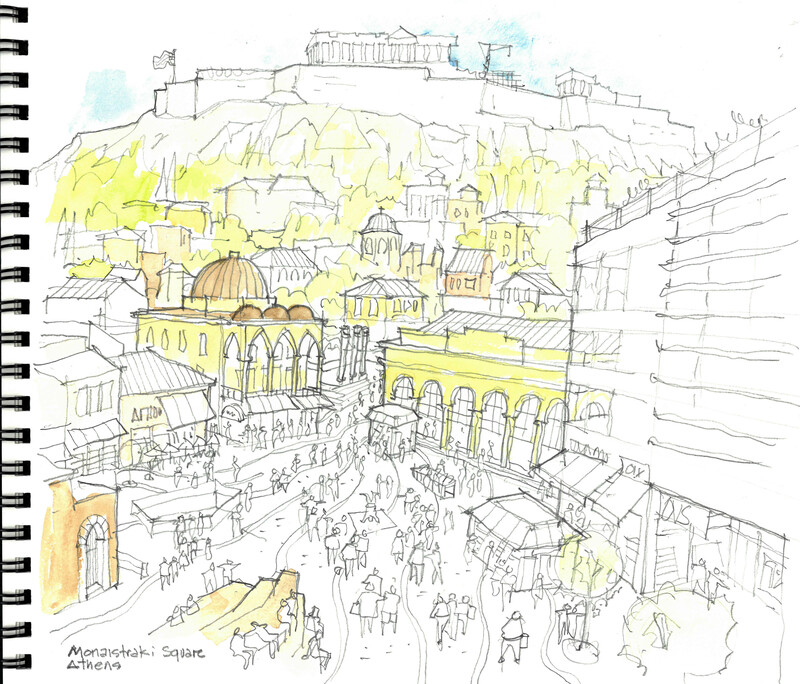 Throughout the community design process, the goals remained focused on reflecting the arts and culture identity of the Uptown neighborhood while providing a safe and well-lit space that was easy to maintain, engaging and interactive for the public, and that fit well with its neighborhood context. 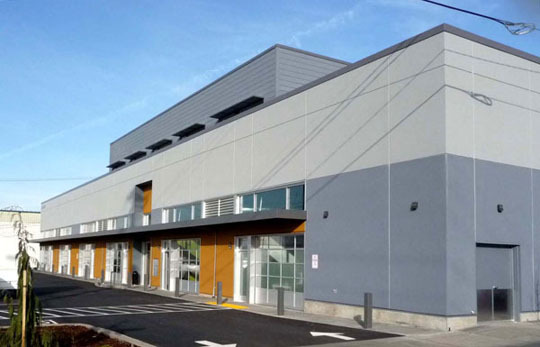 In addition to the Seattle Parks Foundation signing on as the project’s fiscal sponsor providing support throughout the course of the work, a SeeYourImpact.com crowdfunding campaign was started to fund the project— everything was welcomed, from volunteer labor to materials and monetary donations. The crowdfunding campaign was a huge success, collecting donations both large and small from more than 90 community supporters. After a few permitting hurdles were cleared, construction on the parklet began in January, 2015. With materials and funds donated by local businesses and time and labor donated by Jared Slater, VIA, James Underwood, and Katie Idziorek, construction has been moving along. Working to bring their design to life, the team has been pulling each part of the parklet’s anatomy together one piece at a time. The film reels that accent the railing (donated by SIFF); Uptown’s first Free Little Library; the bike racks (donated by Landscape Forms); the park furniture (which matches nearby Counterbalance Park); and the Walk of Fame, highlighting local donors, are making their way into their final places and will soon be open to the public. After almost a year of hard work, The Uptown Parklet is slated to open in late February, with a grand opening event on Saturday, February 21 from 1PM to 3PM. 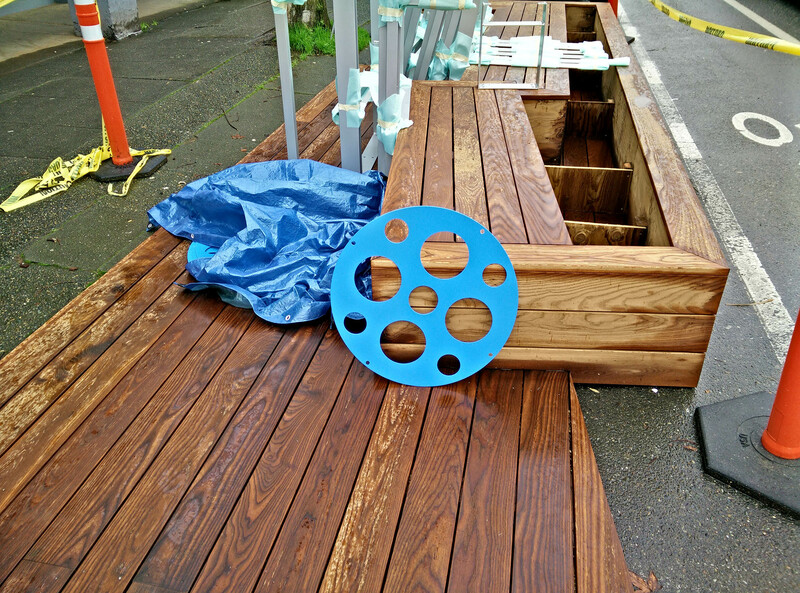 The event is set to include Mayor Murray along with members of the Uptown Alliance and the community design groups to welcome the parklet as the sixth completed project of SDOT’s Pilot Parklet Program. For more event information, project progress photos, and more, visit the Uptown Parklet on Facebook. Have you ever experienced the excitement that comes from discovering something that used to be almost invisible to you? Then you start to see it everywhere and contemplate its importance? That’s my story with wayfinding. A TransLink wayfinding project that I began working on at VIA revealed a whole new world to me: the world of wayfinding. Now, when I think about connected communities and walkable, transit-oriented cities, the picture is not complete, or is rather dysfunctional without wayfinding elements in it– those small organs that make the whole system work the way it is designed to work. We can design cities that are perfectly connected with different modes of transit, and yet, if we fail to assist users in finding their way from Point A to Point B, our system has failed. 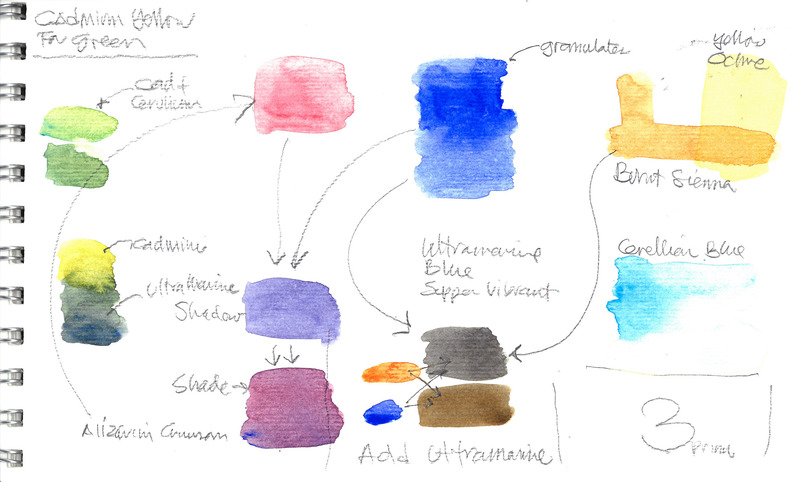 This layer of information architecture is as important as the orchestration of the rest of the system. For thousands of years, humans have needed to be directed on where they need to go. The concept hasn’t changed, only the techniques and the materials used. As we became more civilized and our cities more complicated, so did the need for more sophisticated ways of directing people. His research found that people form individually-customized mental maps from the physical world, often based around five elements: paths, edges, districts, nodes, and landmarks to navigate through space. Successful cities have enough of these elements to help people create their own mental map to find their way. Time is an important element in creating one’s mental maps. In cities that are becoming more global, and where people move in and out at such a fast pace, there might not be enough time to create these individually-customized mental maps. We need other tools on which to rely. 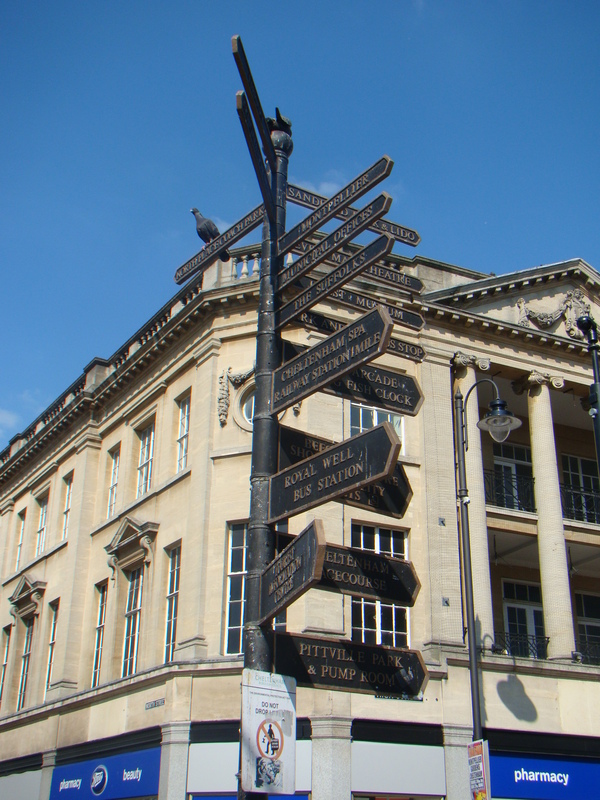 Beginning two decades ago, some cities started programs to improve their wayfinding signage systems, and therefore to encourage and support walkability for both residents and tourists. Among these cities are London (Legible London project), Glasgow, Bristol, Philadelphia, New York City, Sydney, Melbourne, Helsinki, Edmonton, and Vancouver. In anticipation of the Vancouver 2010 Winter Olympic Games, the City of Vancouver began to install pedestrian wayfinding map stands to provide walking information for residents and visitors looking for Olympic venues and other destinations. Recognizing the instrumental role of pedestrian wayfinding to promote walkability throughout the City, a pilot wayfinding study was launched in 2012 in partnership with TransLink, the Downtown Vancouver Business Improvement Association (DVBIA), and the City to test the performance of an integrated system. The pilot focused on updating the existing map stands’ content to provide more consistent, legible, and up-to-date map content that would help pedestrians better understand their environment. The study showed success in increasing pedestrian trips and the City decided to implement the new system city-wide. 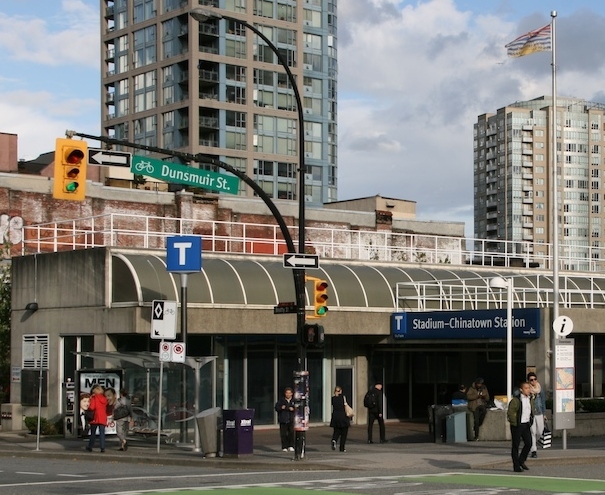 To support a seamless wayfinding system, TransLink also started developing a new wayfinding strategy in 2008. Prior to the Vancouver 2010 Winter Olympics, TransLink began installing wayfinding prototype products at select SkyTrain stations in Vancouver and Richmond, such as the new “T” sign. Since then, TransLink wayfinding strategy has expanded to include journey planning information walls providing content like “Metro Vancouver Transit,” “Buses From Here,” and “Walking From Here” maps to support the City’s updated wayfinding effort. Jeff Deby, Wayfinding Planner at TransLink, talks about some of the new ideas in the new TransLink wayfinding strategy in his Pecha Kucha, available at this link. 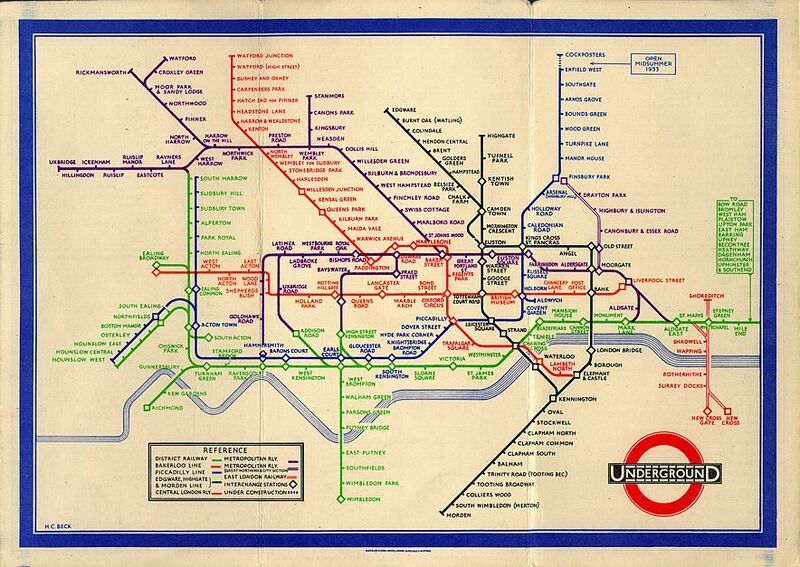 Harry Beck’s precedent-setting map design for the London Underground, issued in 1933, is a good example of the implementation of the last two strategies. Before him, the various underground lines had been laid out geographically, often superimposed over the roadway of a city map. This meant that the centrally-located stations were shown very close together and the out of town stations spaced far apart. 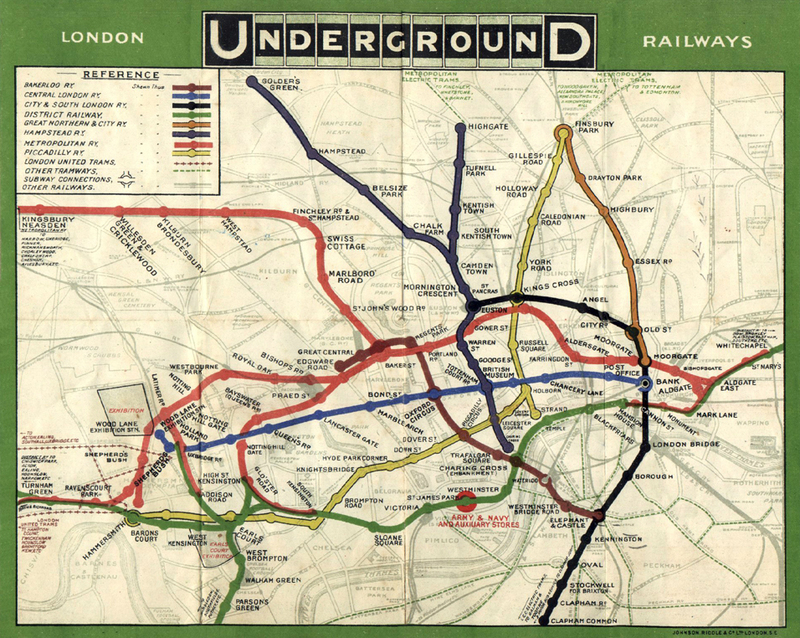 Beck believed that passengers riding the Underground were not concerned with geographical accuracy, and were more interested in exchanges and how to get from one station to another. He came up with a map where the spaghetti of routes were organized into a system of lines drawn at consistent angles with stations that were more or less equally-spaced. One may argue that traditional wayfinding tools – static maps, signage, etc.– will soon become useless in an age where everyone has all the information they may need in their smart gadgets. 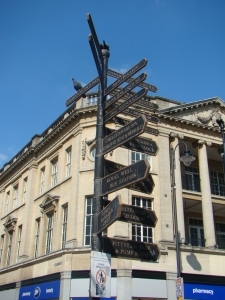 True– we are living in the Age of Information, and the electronic devices we use are way smarter than our built environment, so more research is needed to envision smarter wayfinding tools– but I would argue there is still so much room both to improve the wayfinding tools that we have and to better integrate them into our built environment. 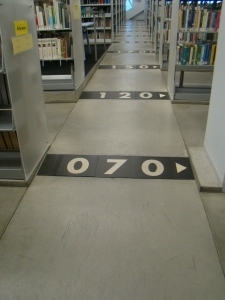 Wayfinding provides us with information, and this information can be better integrated into our spaces. I can think of the Seattle Public Library, which is taking steps toward moving in that direction, but our built spaces in general are not designed with information as a parameter to design around. Lynch, Kevin. 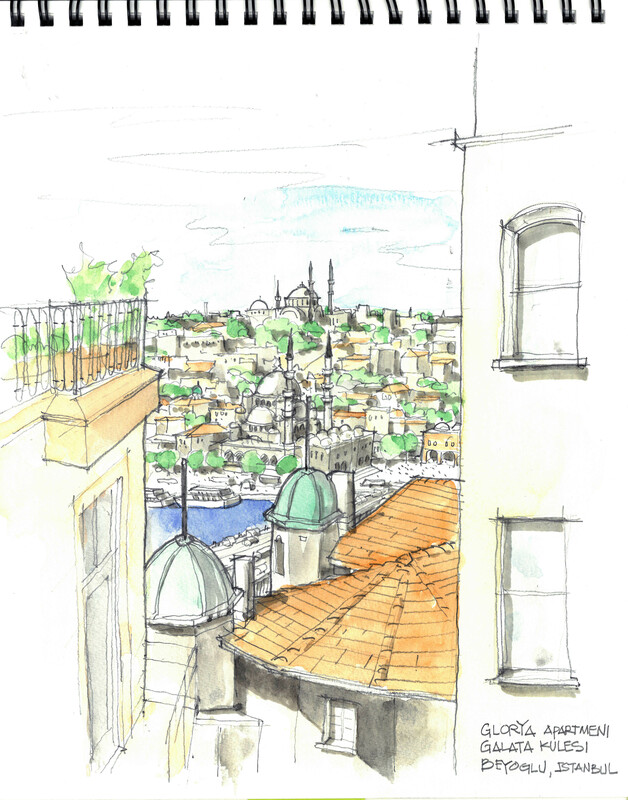 The Image of the City. Cambridge, Massachusetts: Harvard University Press, 1960. 2014 Greenest City Scholars Program. (2014). Moving Forward, Opportunities for Vancouver’s Digital Wayfinding Map. SCARP, UBC, Vancouver: Robert W. White. This is your opportunity to make an impact as part of our start-up here in San Francisco while benefiting from the deep intellectual capital, technical resources, and hands-on work-style of a capable mid-size firm. We see this position as a growth opportunity for you to learn the “VIA way” to manage and design transit facilities while moving into increasing project management responsibilities. 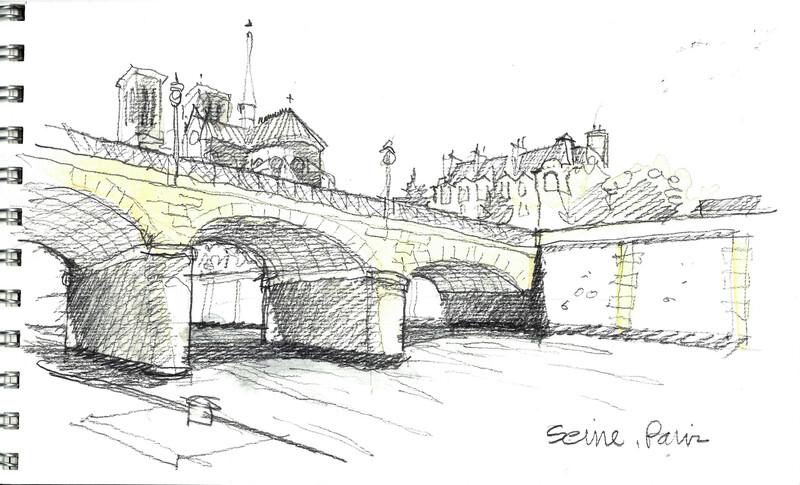 Architect with 7-10 years of professional practice centered around ground-transit and urban infrastructure projects. (Significant experience in other multi-disciplinary team, large-scale, complex project types will be considered.) High-rise residential, mixed-use and commercial experience a plus. Licensed California Architect (or expected soon) preferred. Applicants must meet minimum experience and skill qualifications to be considered for this position. Dedicated team player, excellent communicator, with demonstrated skill at the detailed execution of complex transit projects. Proven team leadership experience: responsibility for design team (or sub-group of a larger team) performance, deliverables, and or consultant coordination. Fluency in the use Revit 3D Building Information Modeling and AutoCAD, including both strong computer drafting and information management skills. Salary is commensurate with qualifications and experience. Generous benefits are provided to employees and are available for spouses, domestic partners and families, including: medical/dental/vision insurance and retirement funds contribution matching. Email with “Transit Architect” in subject line. At the heart of the potential transportation referendum for these suburban communities, their ‎residents and businesses, is that they are being asked choose to fund transportation initiatives that seem, at first blush, not to support the suburban lifestyle they have chosen. By pitting transit against the car in this discussion, both the suburban and urban ways of living in the region will be undermined. The focus of the discussion has to return to preserving the natural beauty of the region, promoting food independence and water quality, and creating a range of transportation choices that supports a range of housing and employment choices, both urban and suburban. 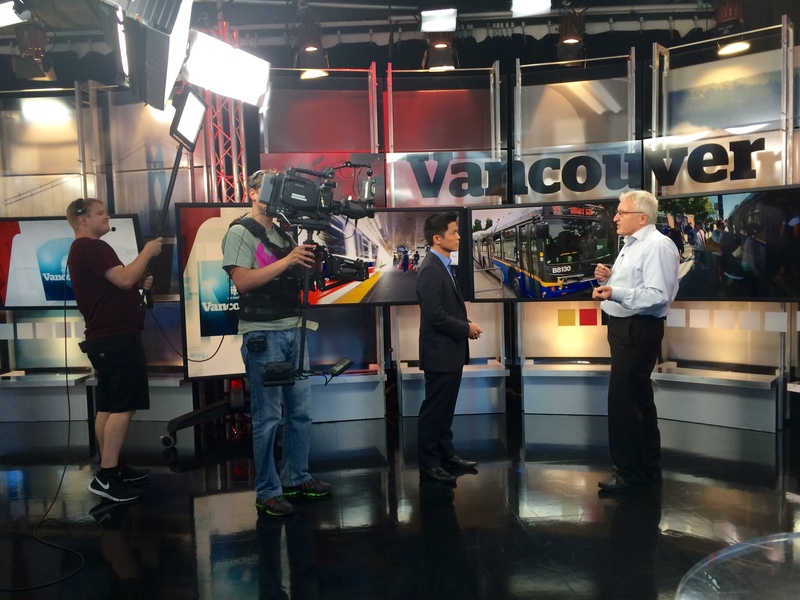 VIA Architecture was recently invited by CBC-TV to provide comment on the Pembina Institute’s study of transit system in Canada’s major cities. The study highlighted that Vancouver has built the most kilometres of rapid transit over the last 3 decades. But whereas Toronto and Montreal’s 40 year old transit lines provide service within 1 kilometer of more than 30% of the population, less than 20% of Vancouver’s population has the same connectivity. Entering a Municipal election cycle where provincially controlled transportation funding is a key issue, this provided fodder for knee jerk blogging about bloated transit funding not serving the needs of the majority. Through the joint initiative of the Mayor’s Council for metro Vancouver, TransLink has a plan for rapid transit extension that will be tested by the voters in 2015 in a funding referendum. 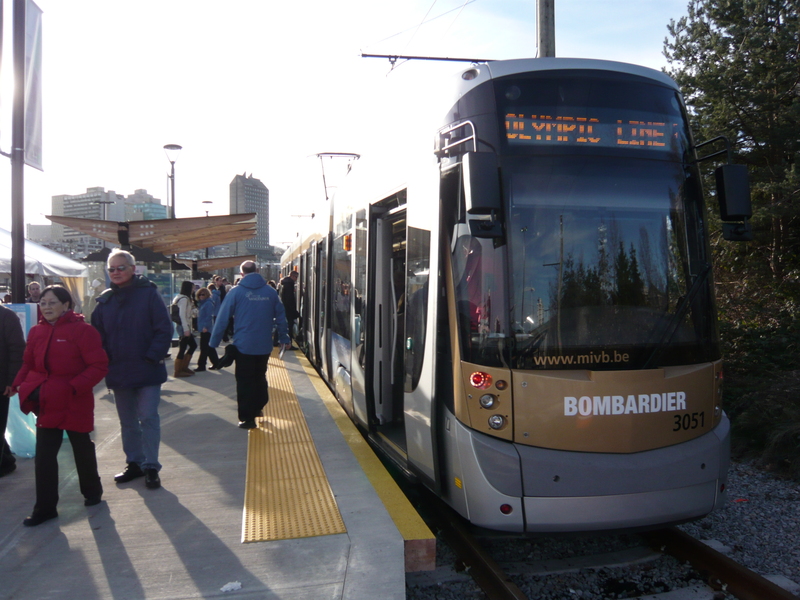 Amongst its many provisions covering, roads bridge and bus and bike routes, most attention has been focused on Rapid Transit in Vancouver and Surrey. 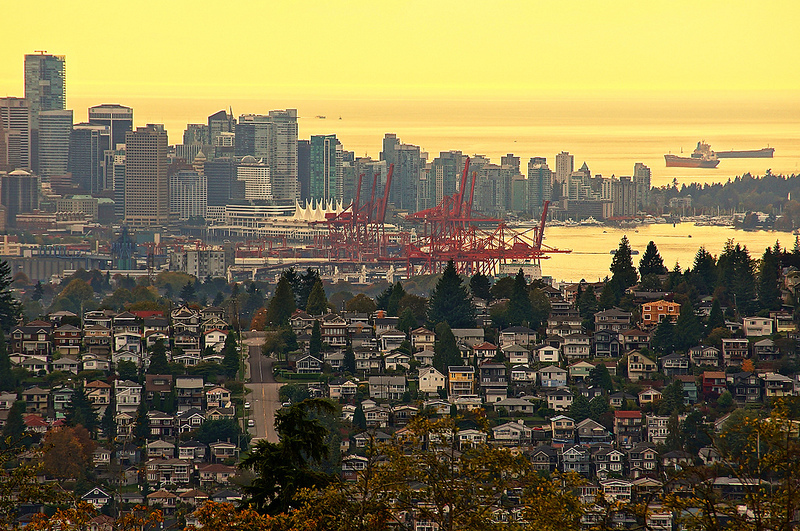 In Vancouver the plan would see a SkyTrain extension of the Millennium line connect across the inner City to the Central Broadway employment and medi-tech corridor and interconnection with the north- south Canada Line.This extension is generally accepted as requiring an underground subway. With an (interim?) terminus at Arbutus it somewhat addresses the connectivity to the major transit centre of UBC to the west. Surrey has a larger but much less developed land base, with a population that is expected to match Vancouver‘s in 30 years. Here the plan is to bring 3 LRT lines through the emerging City Centre and connect with each other and the existing SkyTrain line. The political temptation is to dodge the bullet of large public expenditures and force a choice between the two transit strategies. To the credit of the process to date, there has been a general political acceptance that the whole Transportation funding package (including the Surrey and Vancouver rail transit) should be adopted as a whole. The sniper fighting (which will escalate for both the Civic elections in November and next year’s regional referendum) has tended to be about which form of tax to use, and thereby whose pockets will be targeted more than others. The Pembina study frames the dilemma of transportation as differently seen in mature and emerging urban contexts. In Vancouver, which had a streetcar network a century ago that reached south to Richmond and East to Burnaby, New Westminster, public transit is “Normal”, not “Special Needs”. In the expanding auto-oriented suburbs, particularly Surrey and south of the Fraser River, transit is still seen as a special need for those disadvantaged through not having access to a car. The tipping point North of the Fraser was the Canada Line. Following the success of mobility throughout the 2010 Olympics, transit related developments have sprung up whose keynote is being “11 minutes from Downtown” etc. This connectivity works both ways, as each transit node becomes a magnet of its own for employment and recreation as well as residence. The Olympic streetcar that ran during the Vancouver Winter Olympic in 2010. South of the Fraser does not want to be Downtown Vancouver. 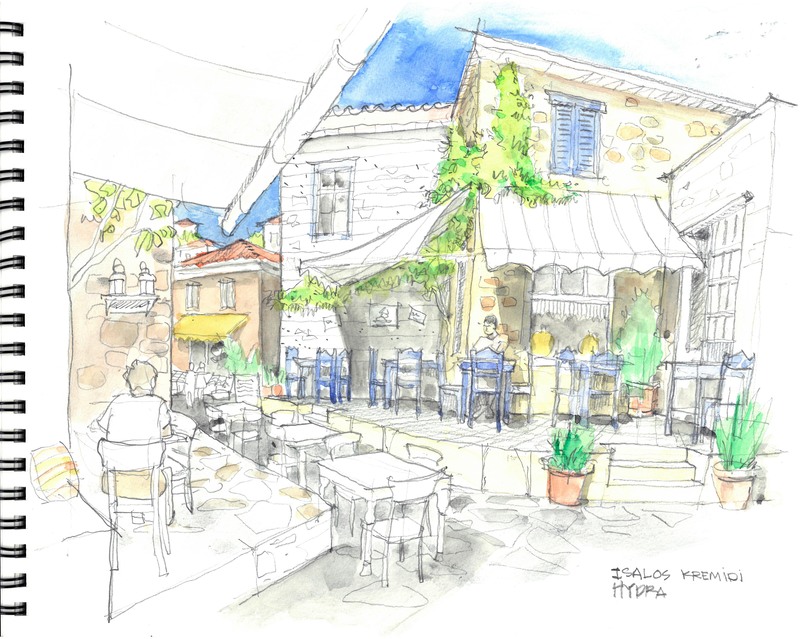 But people do increasingly wish for urbanity, both in the array of places to hang out and enjoy food and beverage, shopping and entertainment, as well as to enhance the daily life spent moving between home and work. There is a 21st Century urbanism that needs to be established here, and one that integrates the automobile, whose passengers may turn to using transit in the future, lessening the demands on drivers to drive so much. The problem is that the bogey man of traffic congestion is seen as caused by urban development, and too often resolution is framed in terms of speeding up traffic rather than creating places closer together than people want to spend more of their time in. Transit is about nothing if it is not about the pedestrian and where the pedestrian wants to be. Regardless of transportation funding people should be demanding more joy in their daily lives. Some of that joy is having more time to connect with those you care about most, family, friends and colleagues, and the opportunity to move between those environments. At the top of the hierarchy would be being able to walk between one joy and another – life as a village. Transportation is not this joy but its quality can and must be factored in to the equation. Thus transportation planning is nothing without supportive land use. The marketplace is what determines how land use works. Public leadership and investment can help, but need private investment to follow up. Surrey’s newly relocated City Hall now hopes to engender synergy that the relocation to BC Place’s Downtown Stadium did for Vancouver’s Downtown thirty years ago. 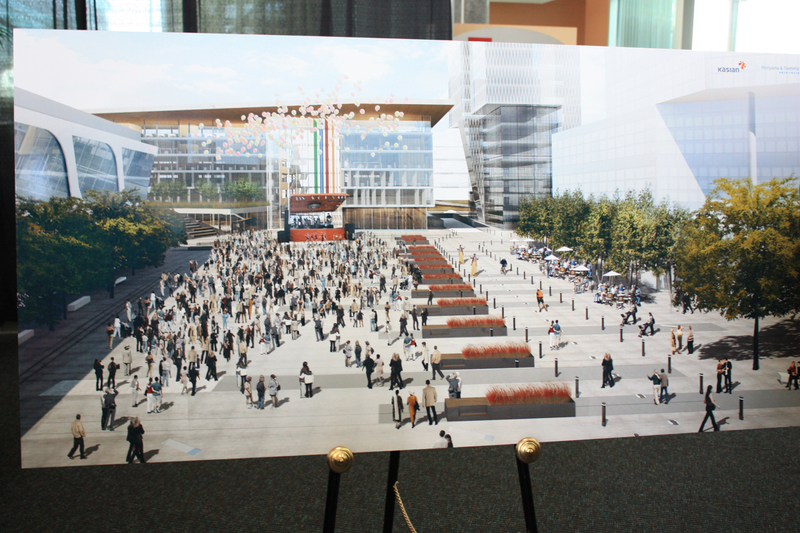 Artist rendering of the civic plaza in front of the new Surrey City Hall. Photo courtesy of Surrey BIA. The focus of the suburbs has been on autonomy in daily life, on privacy and individual territory. It was assumed that community life would flourish around the cul-de-sac. This has turned out to not be the case. For several decades the shopping mall became the protective shell for public interaction. 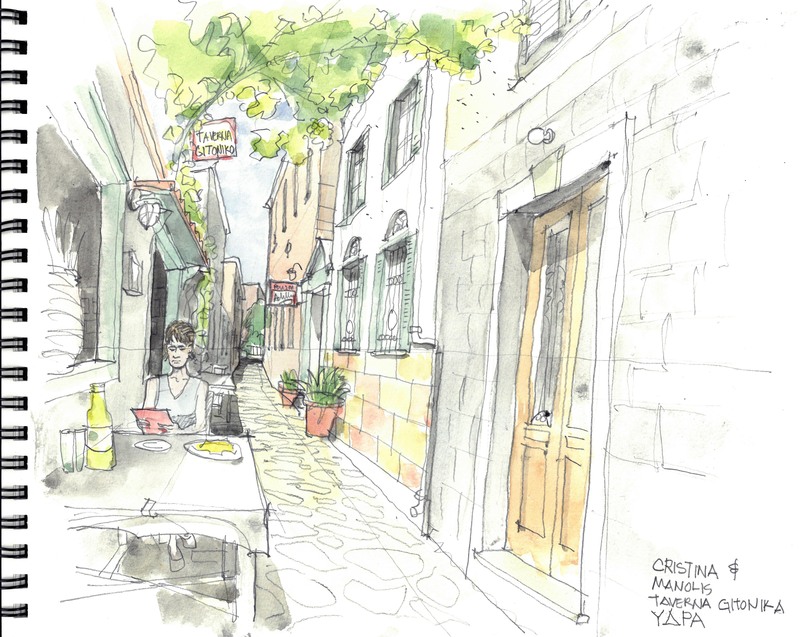 But the cul-de-sac and the strip mall discourage casual social encounter and thereby the social richness of our daily errands in the marketplace. 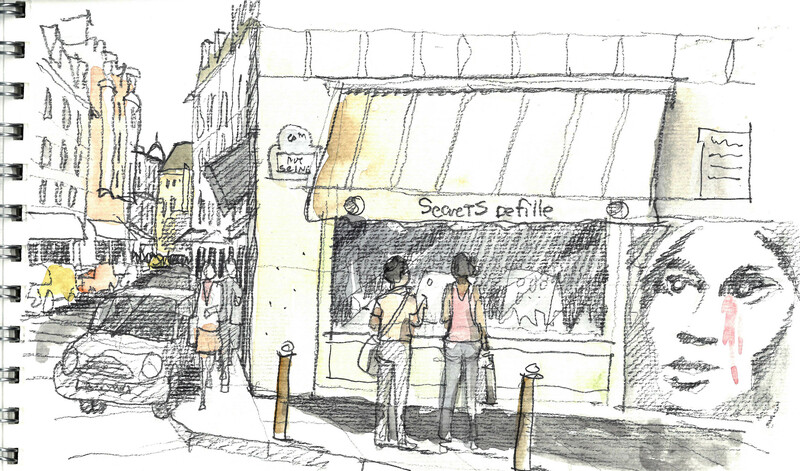 The key for the suburbs is multiple urban village centres, and the foregone travel trips that their synergy reduces. Parking is the immediate world of 87% of Metro Vancouver who live outside Vancouver, and it is this world of the suburbs that we have to respect, understand, serve and collaborate to transform this parking, step by walkable step. To attract the interest of those who live beyond the measure of typical transit accessibility, the coalescing of urbanity around urban village nodes (park once, linger longer, feel happier) is critical. It will be a challenge to secure a positive result from the transportation referendum, but the greater challenge is to frame this path forward not as car vs transit, but as demand for high quality of urban place to reward all those people arriving somewhere in their buses, trains and cars, if not by foot. 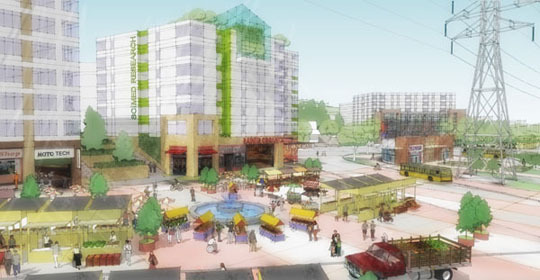 Employment-based redevelopment near the Rainier Beach light-rail station would create an ideal location for a farmer’s market. Conceptual sketch of the proposed Opportunity Center for Food Education and Entrepreneurship.